Do you want to share your exciting travel adventures with your friends and family? Click here to learn how to craft the perfect postcard messages. Do you want to continue a thoughtful tradition that will always hold value? Get in the habit of writing postcards. Even in the modern internet age, postcards are still an amazing way to reach out to those you love. This communication method is important if you constantly travel. You can find postcards that represent your adventures and send the postcards to loved ones. But why send a blank postcard to a family member? Writing a small memento will mean so much to those who love you. If you don’t think you’re the best writer, there are ways to write great postcard messages. Here are 8 tips to get you started. All good writers start with one basic rule: formatting. Before you actually write your postcard messages, know where to write your message. Ideally, a postcard has two different sides. 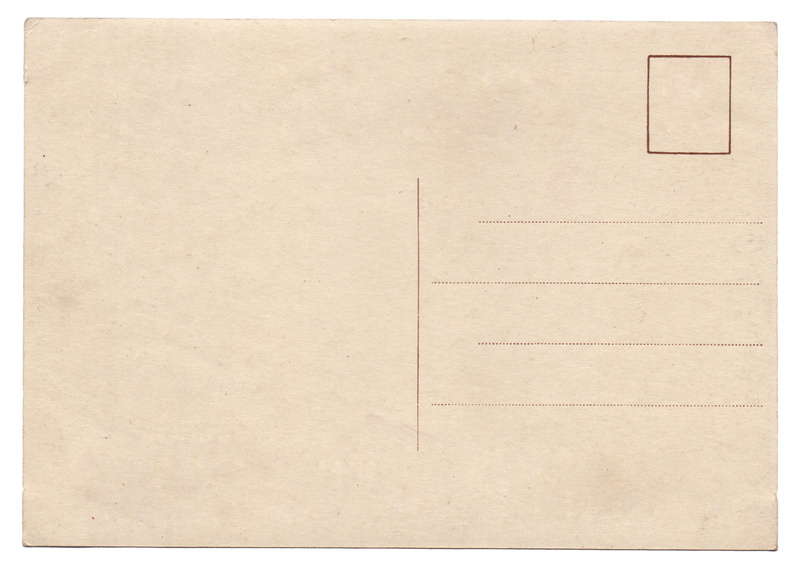 One is for the receiver’s and sender’s addresses, and you place a stamp at the top corner. The area to the left is for your message. But if you’re delivering your postcard in-person or plan to send postcards online, you have more wiggle room. Be creative when formatting. Maybe write long blocks of texts that take up both sides. Or write a simple message on one side with your signature on the other side. What’s the best way to get you in the writing mood? Recounting your travels, of course. Traveling is exciting; no matter where you visit, traveling opens you up to new experiences and opportunities. The thrill of traveling also boosts creativity and keeps your pen moving. When writing postcard messages, share your traveling stories with your loved ones. List everything you saw, the people you met, describe the food and even share some off-the-beaten-path adventures you experienced. When picking out a postcard, find an image that best represents your traveling experiences. How many people will receive a postcard? Even if you’re sending mass postcards to multiple people, you likely won’t send the same postcard messages to all recipients. When writing a postcard, be personable. Refer to the recipient by name and discuss topics only you two would know about. For example, you can share special experiences you know the recipient will love. Maybe you can discuss a museum or other interesting place you visit. Or maybe the recipient has visited the place you’re in, and you can compare your experiences. Postcards aren’t meant to be long and descriptive. If you want to write a memoir for your recipient, you can type it up and print it out. But postcards are meant to be short and sweet. Before the internet, postcards were used as a simple greeting or a “saying hi from while traveling” message. To keep traditions stagnant, use the postcards to write a simple message. This also helps improve your writing; lots of writers get descriptive and wordy. A postcard challenges you to write an effective message while keeping your message short. This is a fact all writers learn: write for your audience. The message you would write for your spouse is different than the one you would write to your grandparents. Identify the person you’re writing to and use effective language. For a spouse, you can share romantic things to do when you two visit the destination together. For your parents or grandparents, give endearing messages and recount on all of the exciting adventures you experienced. No vacation is complete without gifts! Souvenirs are some of the most exciting aspects of traveling. You can buy items in other places you can’t buy back home. If you bought gifts for your loved ones, hint at their gifts in the message. But don’t give the gifts away. Use a message such as, “I spent all day shopping in Paris. Don’t worry, you’ll see all of the amazing items I bought.” This way, the recipient knows you went shopping but doesn’t know you bought them anything. Are you a traveler who plans your vacation? Share your plans with your recipients. When you arrive at your destination, find a postcard and immediately send it. Share your schedule and all of the exciting things you have planned. Are you a traveler who goes with the flow? You can still use this writing trick. Instead of sending a schedule, mention you’ve been getting ideas from locals or found some great advice online. You can even describe the hotel and everything you’ve seen so far. Would you rather wait to write the postcard? This is a great way to recount your adventure and let the good memories live on. Saving your postcard for last also helps kill time on the flight back home. If you’re unsure what exactly to write, discuss your favorite day or your favorite adventure. Recount everything — from the moment you woke up to the moment when you fell asleep. Share everything you did and all of your adventures. Don’t have a favorite day? Share your favorite activity or the best sight you saw. Maybe you loved scuba diving the best or maybe you loved checking out another country’s local music scene. Even describing the nature and weather will transport your reader to the destination. Traveling is exciting and you want to share your experiences with those you love. Even in the modern internet age, writing postcards is an amazing way to reach out to those you love. But not everyone is a wordsmith. You can simply describe your trip, or you can write a more personalized and endearing message. Even if you’re not a writer, you can still write an incredible postcard message. Take this writing advice and find the most amazing postcard message. Are you looking for future travel ideas? Take a look at our resources.